We run Wirecast 12.0.1 on Windows 10 and a Blackmagic Intensity Pro 4k capture PCI card. For some reason, the audio monitoring works fine for all shots BUT for the Blackmagic card; although the green level indicators show audio activity at the shot, we can hear all shots but this. Can you help us solve this problem ? 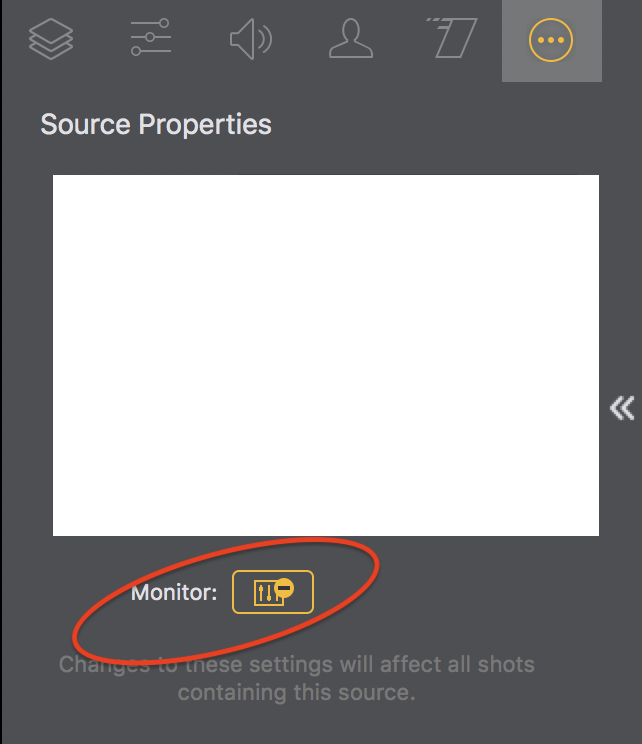 Make sure you have monitoring enabled for the shot with Blackmagic Audio. Desarrollo You're welcome of course.